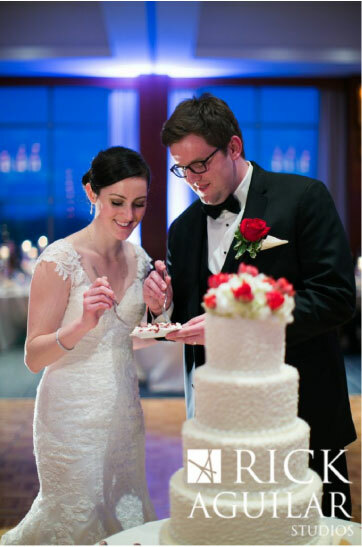 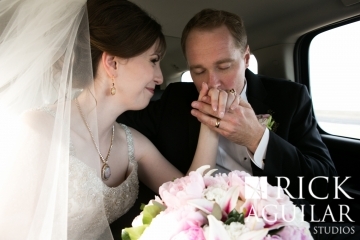 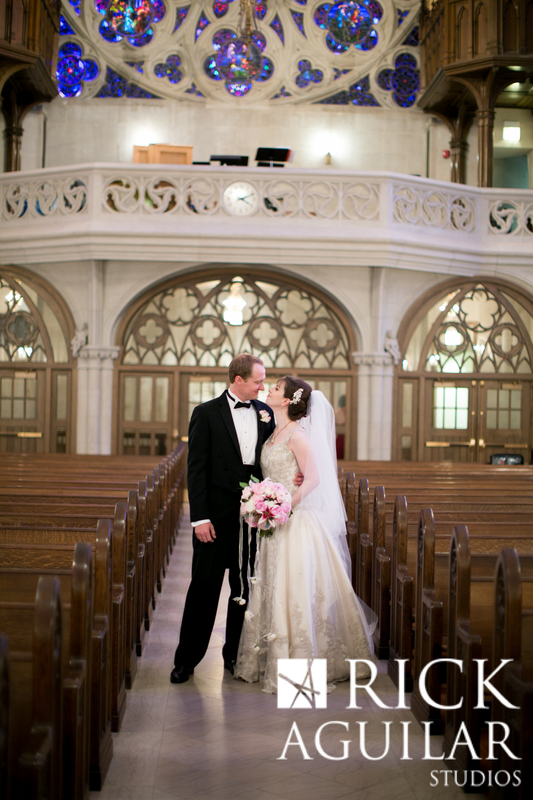 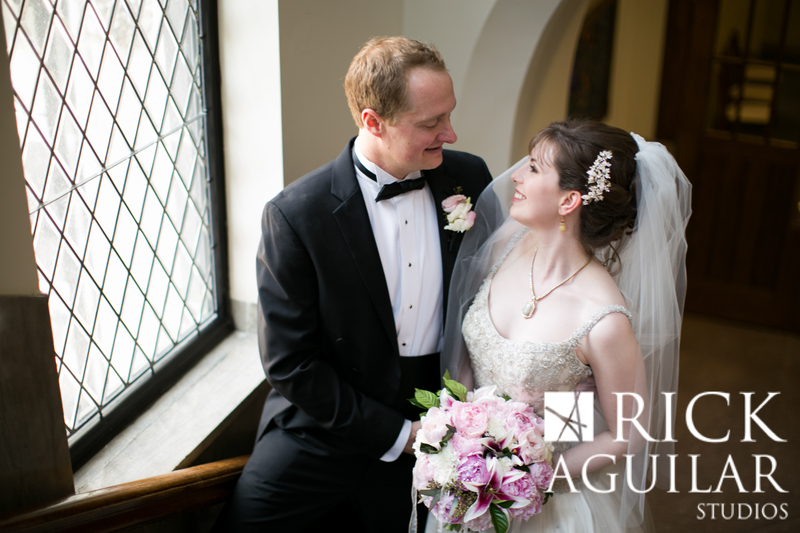 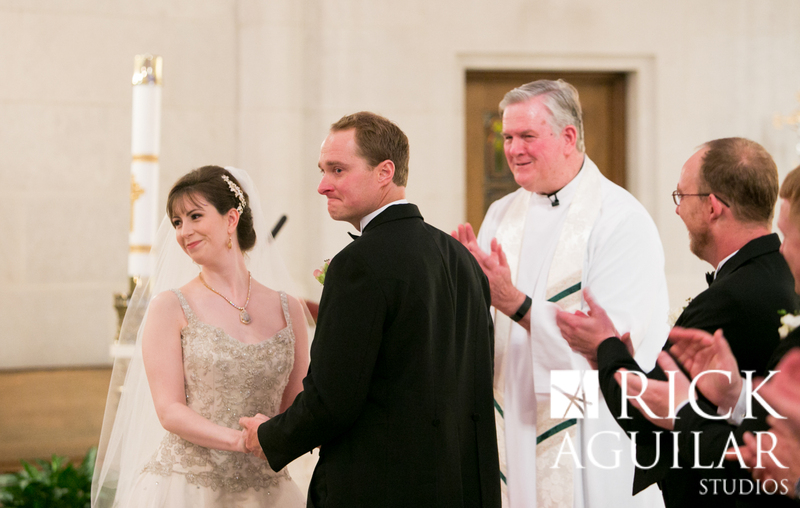 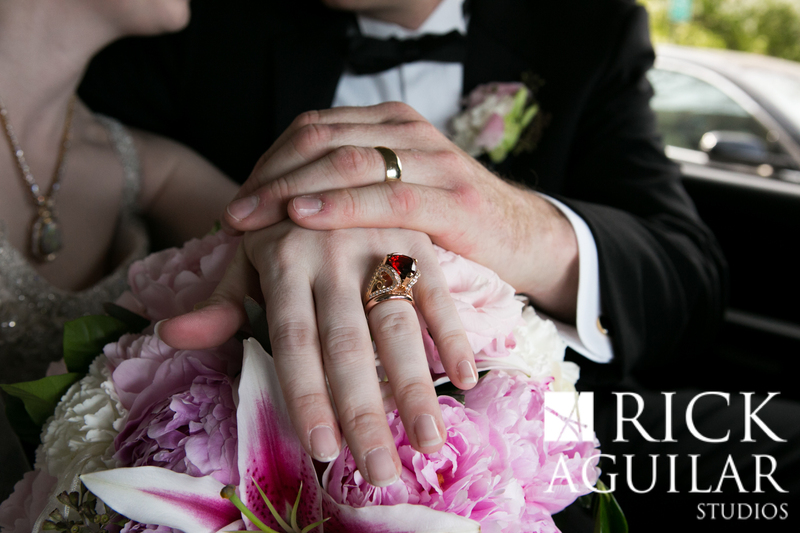 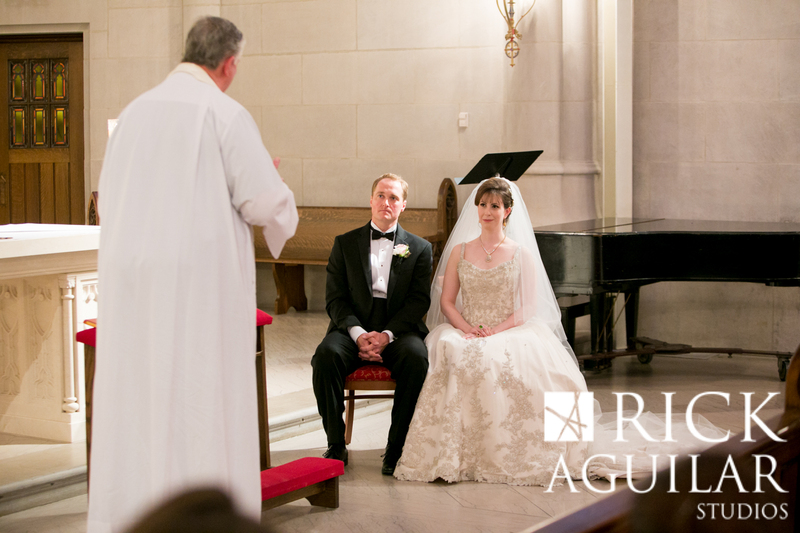 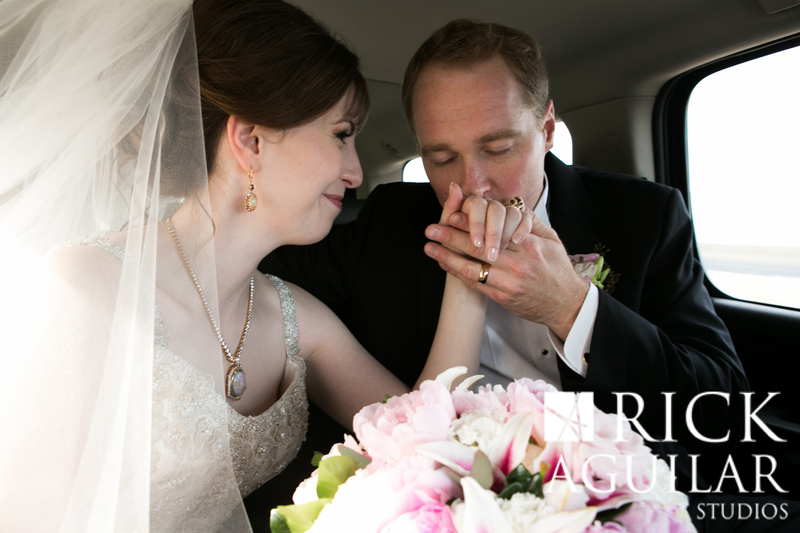 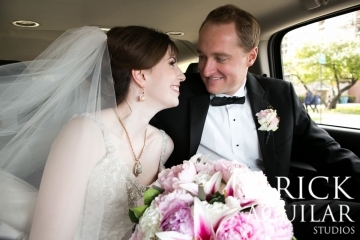 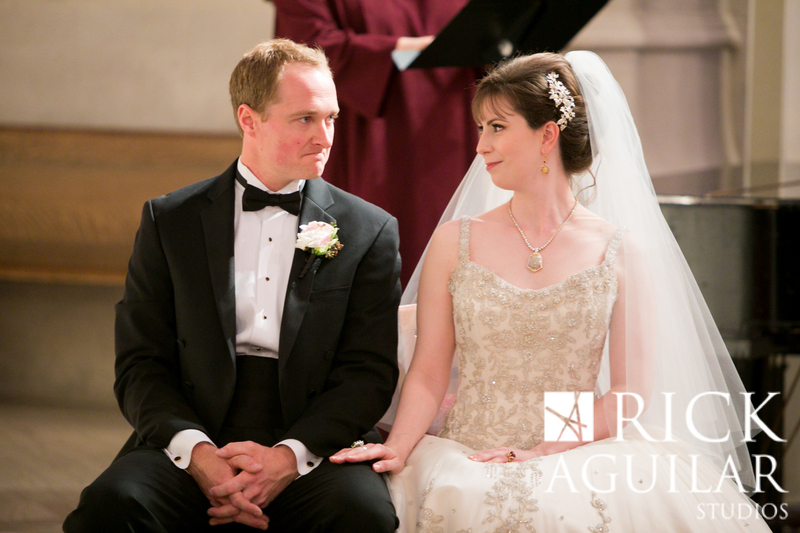 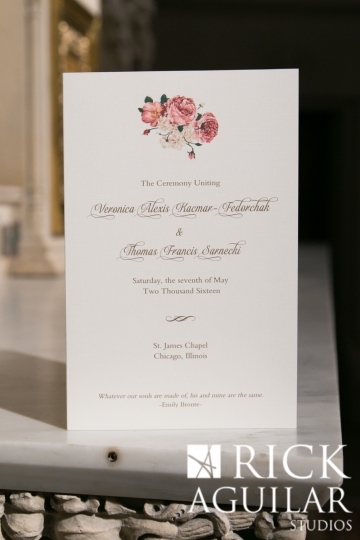 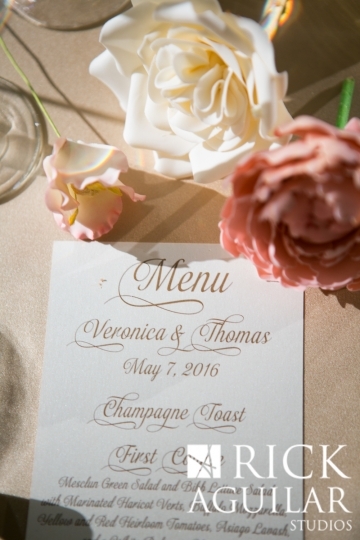 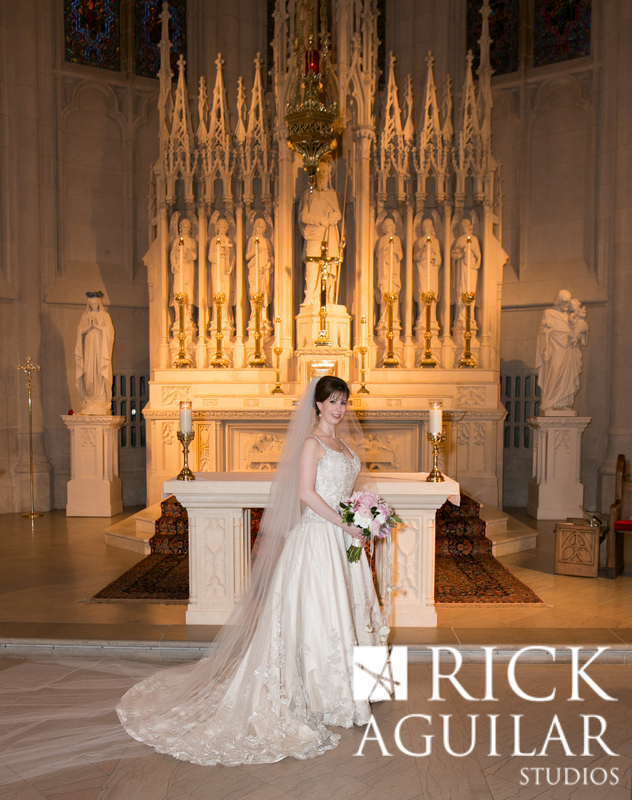 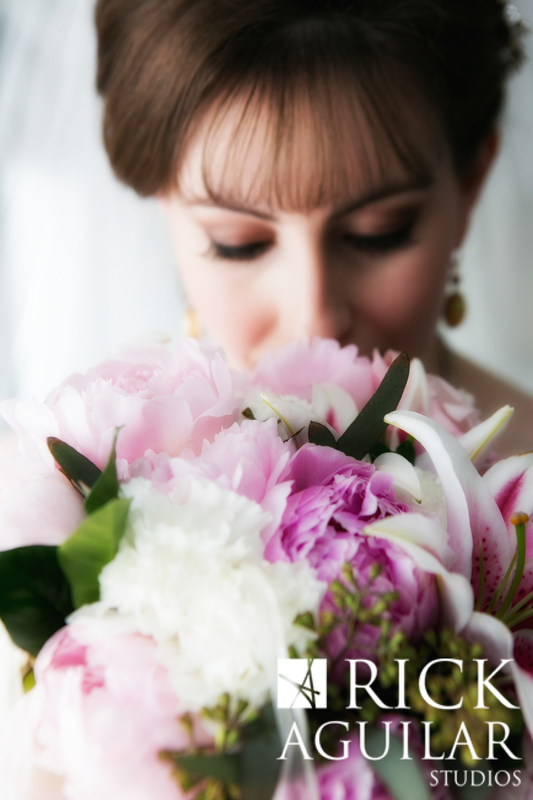 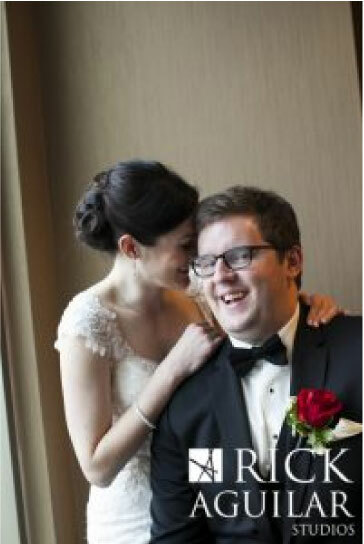 Veronica and Thomas’s spring wedding was an elegant and intimate celebration. 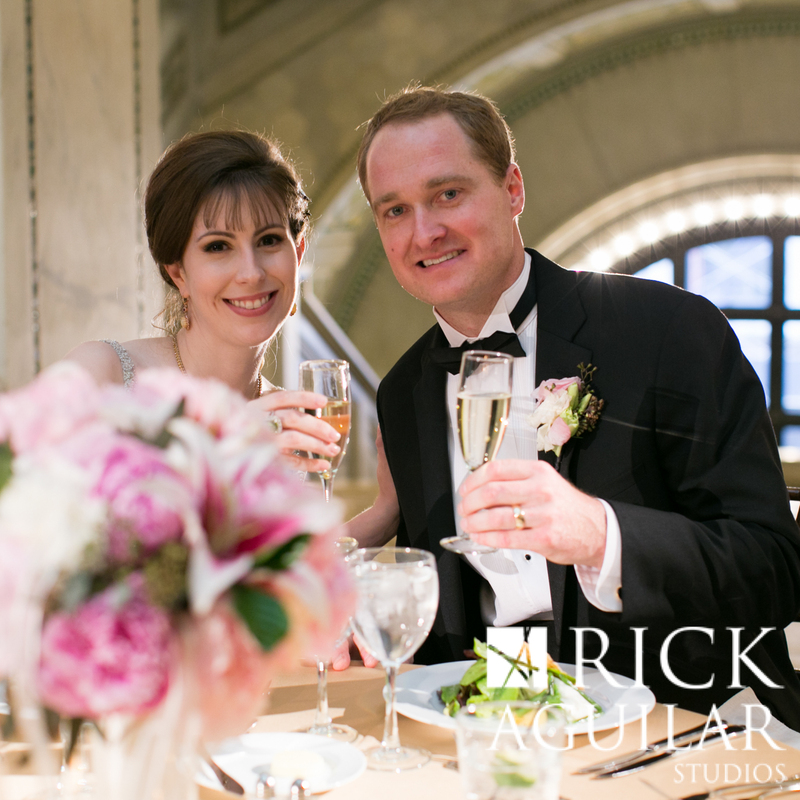 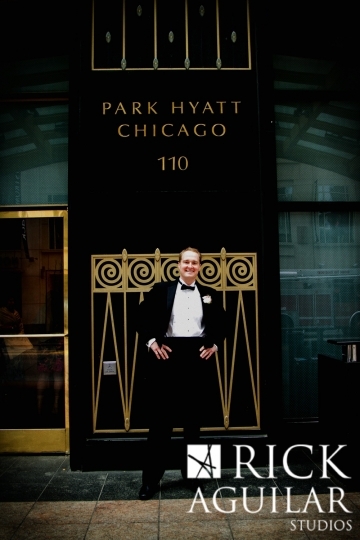 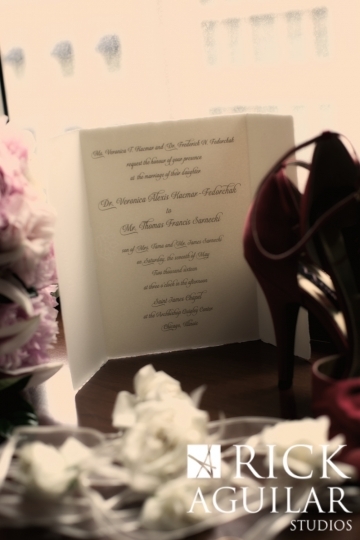 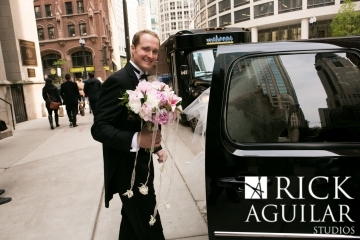 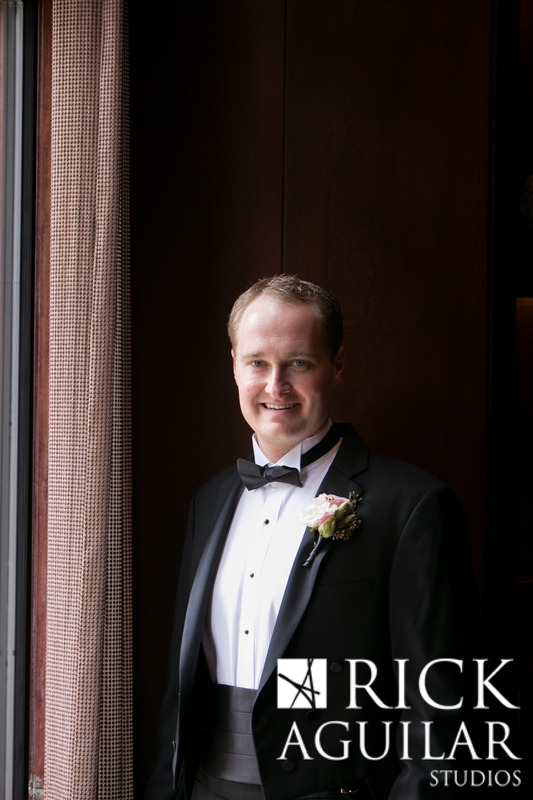 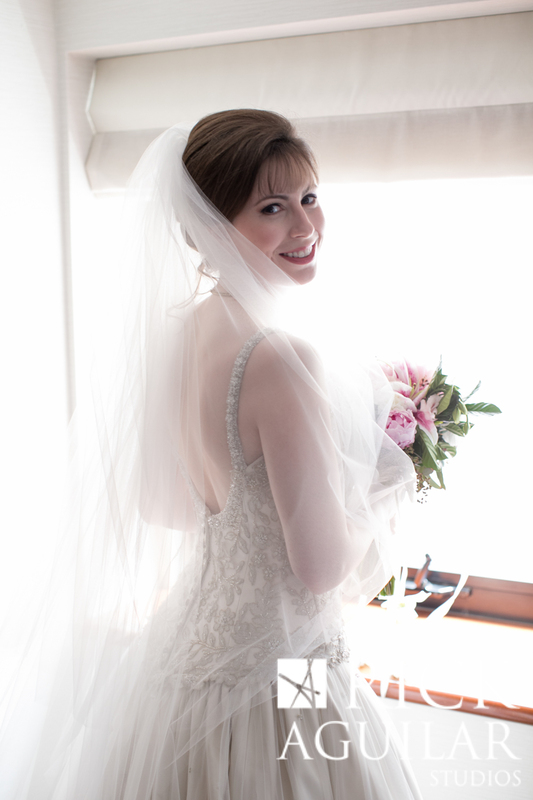 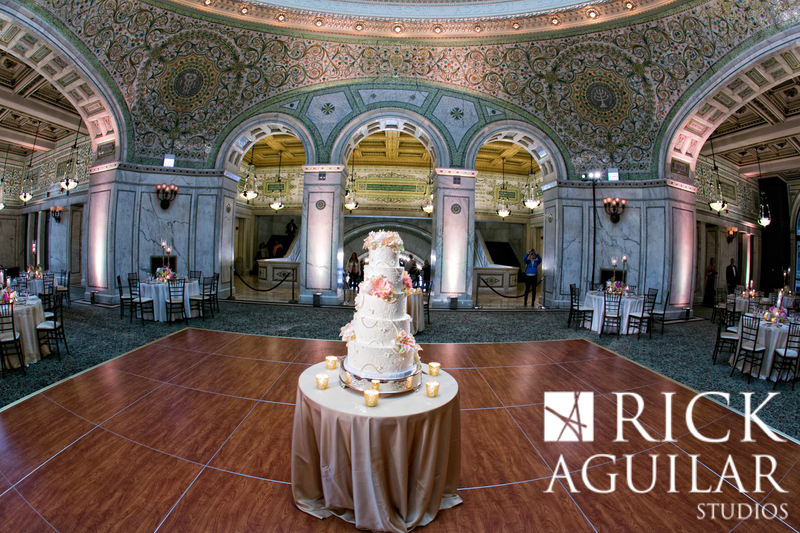 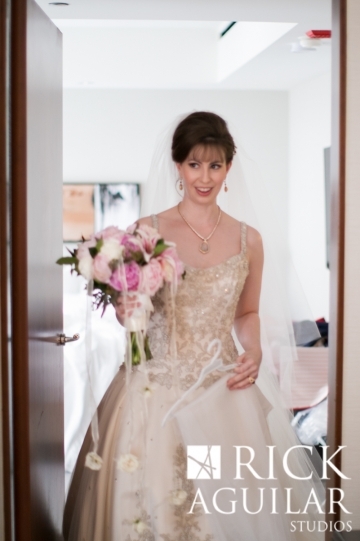 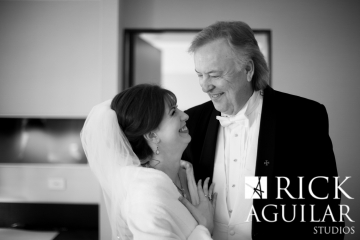 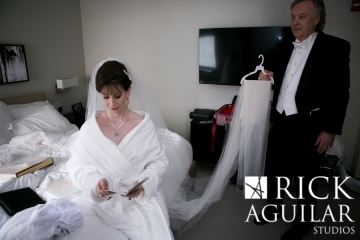 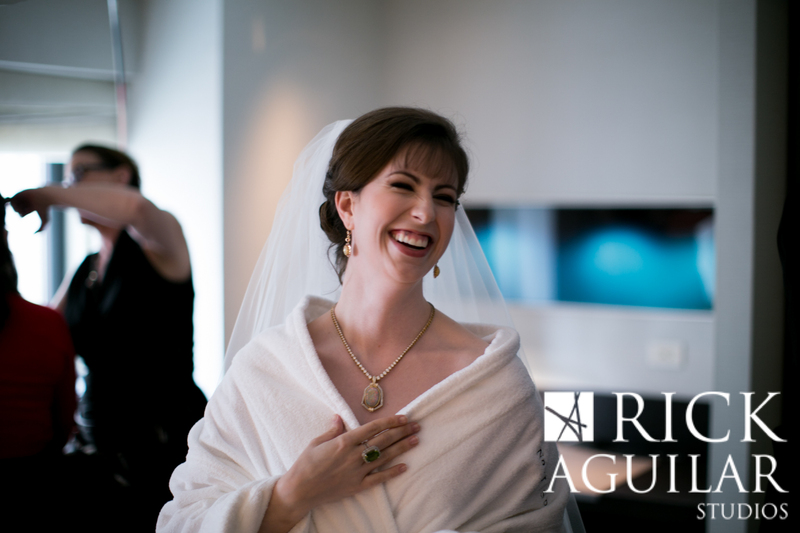 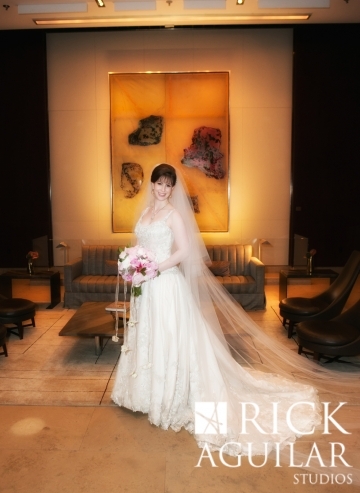 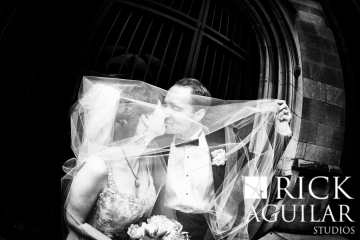 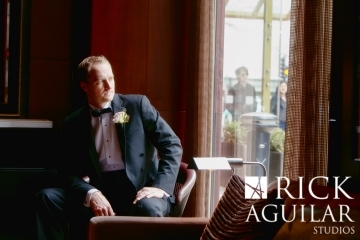 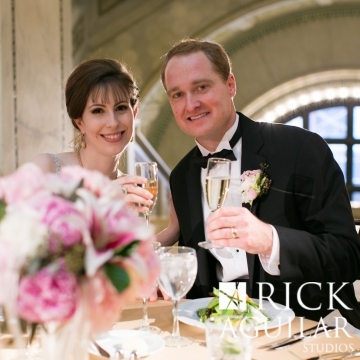 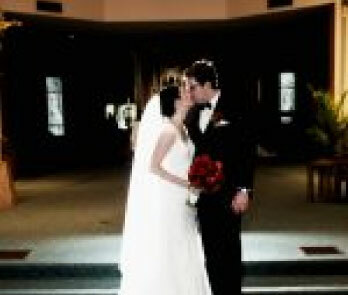 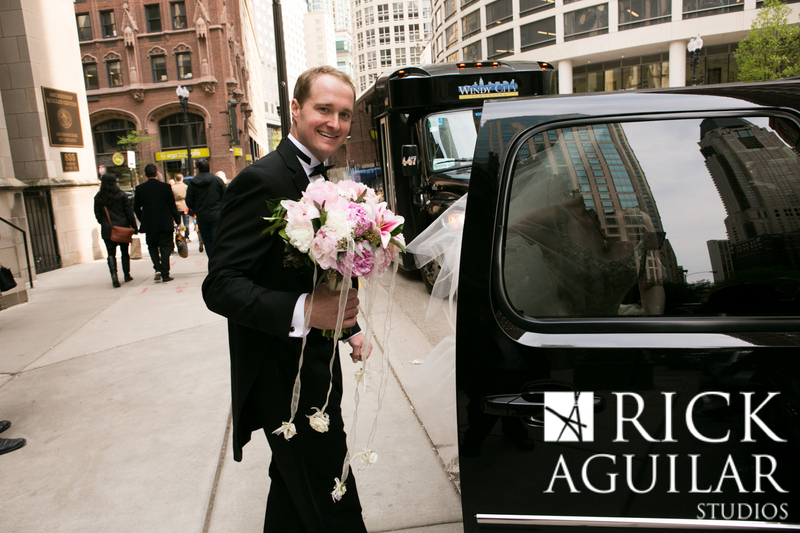 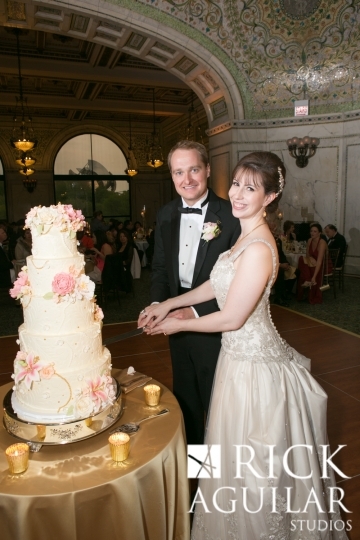 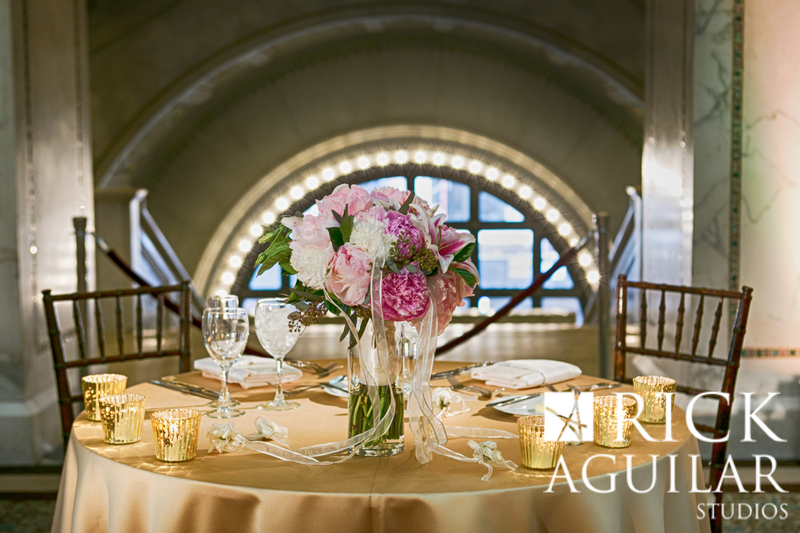 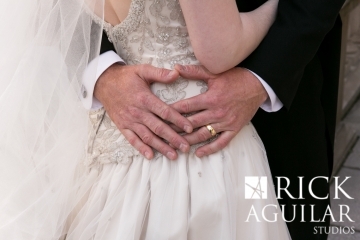 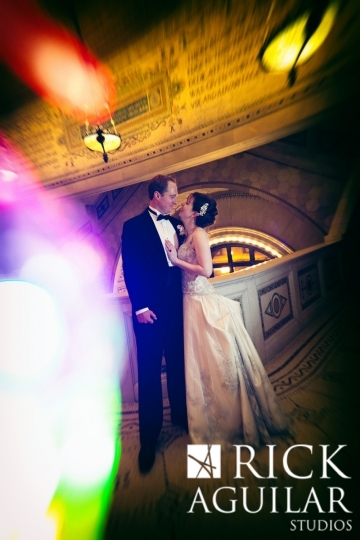 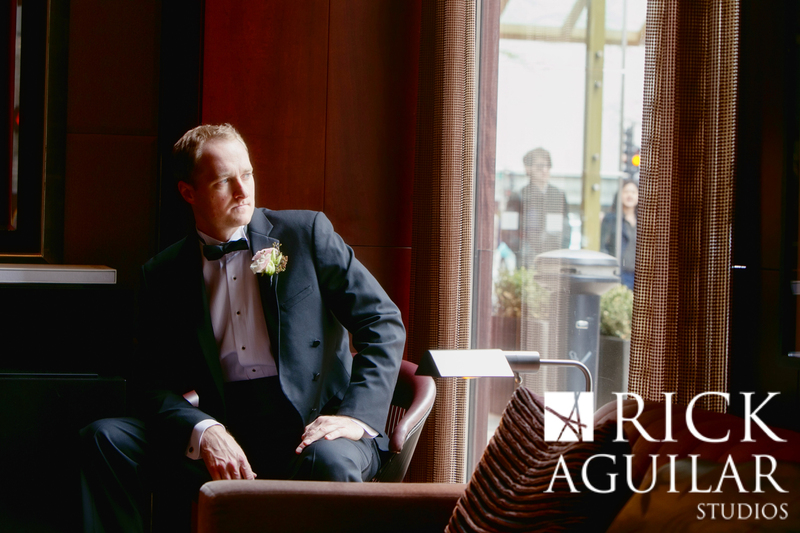 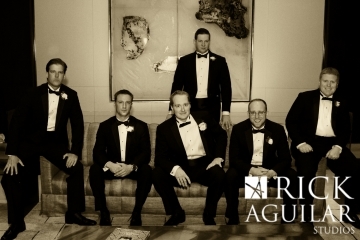 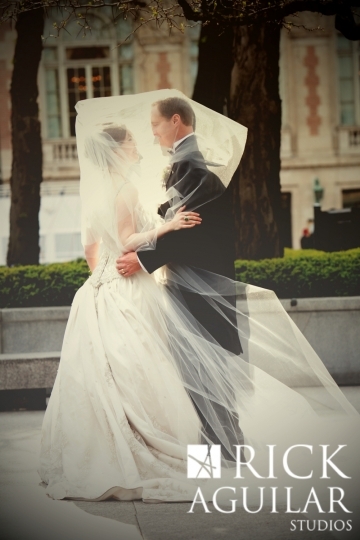 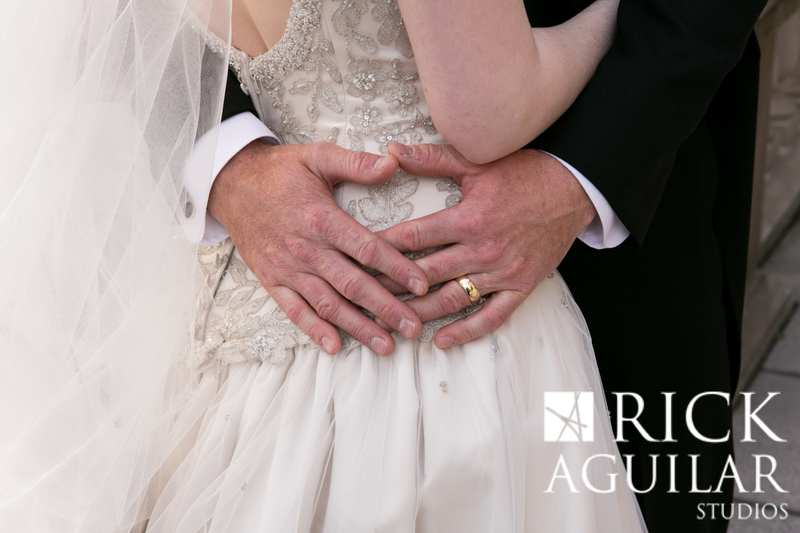 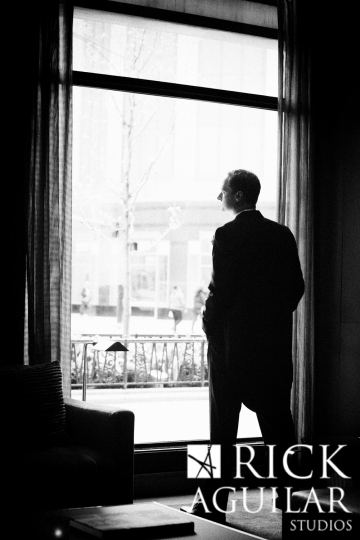 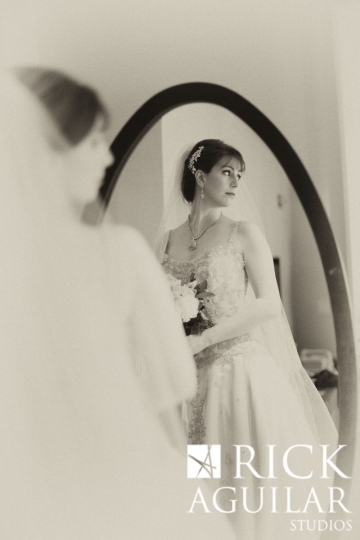 We started at the Park Hyatt in Chicago and when I arrived, the room was full of love and anticipation for the big day. The bride wore a stunning dress by Amalia Carrara detailed with spectacular lace and crystals. 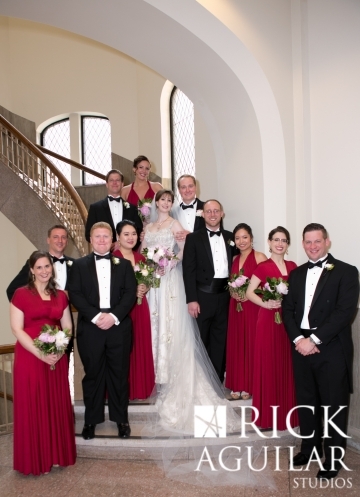 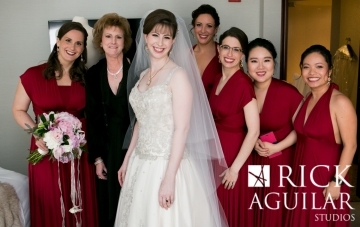 Red was a signature color for this wedding. 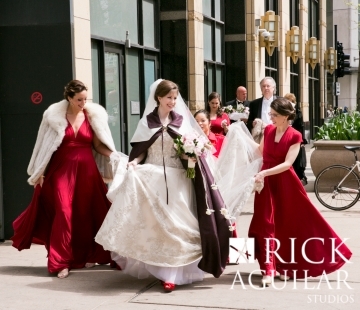 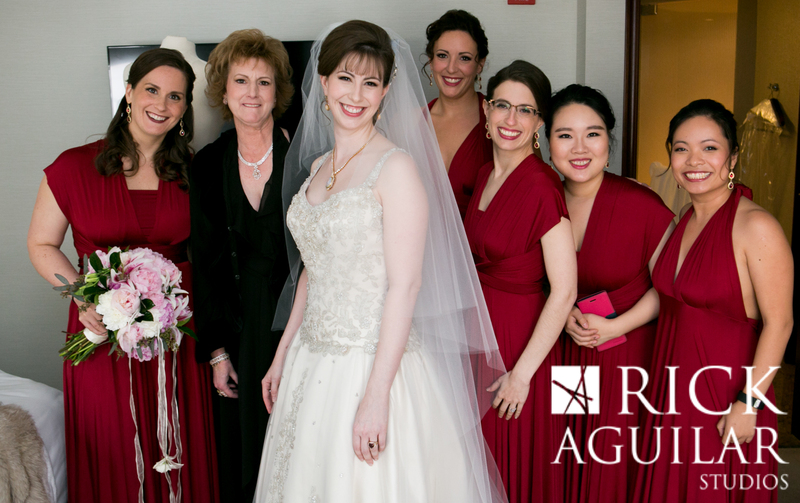 Veronica wore red shoes and she chose the same color for her bridesmaids and some of her beautiful jewelry had ruby red stones. I love when I get to recommend some of my favorite people to the couple. 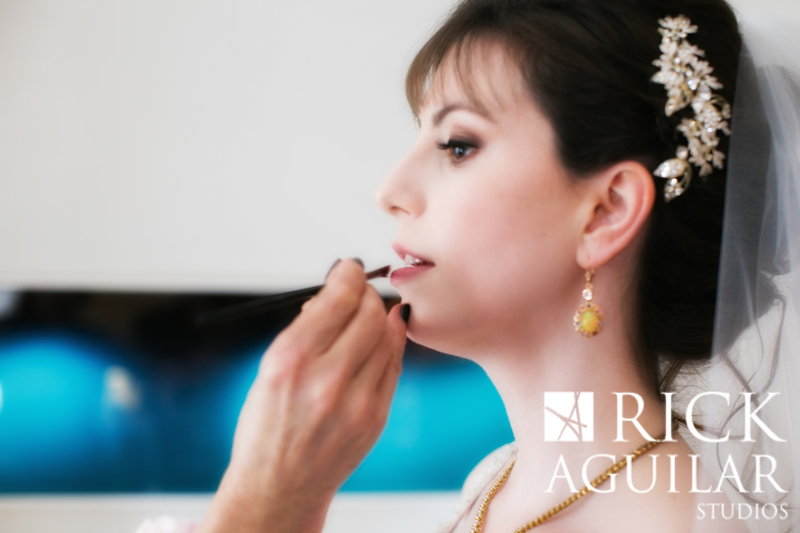 Traci Fine made everyone look gorgeous with perfect make up and Robyn Tornbeni fashioned beautiful hairstyles for the ladies. 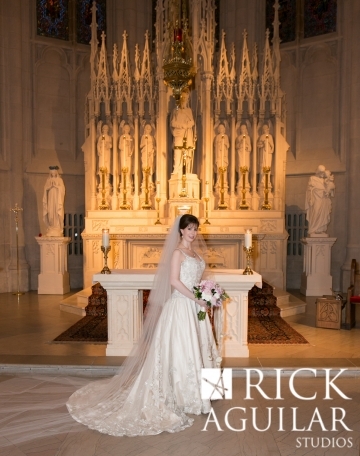 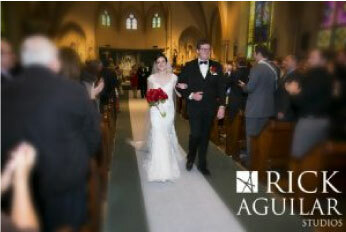 The bride wore a traditional veil and added a dazzling jeweled hair comb, so elegant! 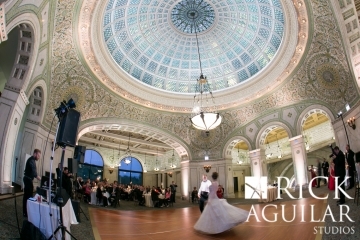 The union took place at the historic St. James Chapel in Chicago. 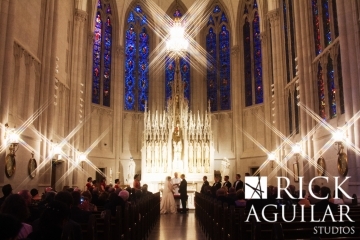 It is a dramatic and memorable church in Chicago’s Gold Coast, inspired by a church in France. 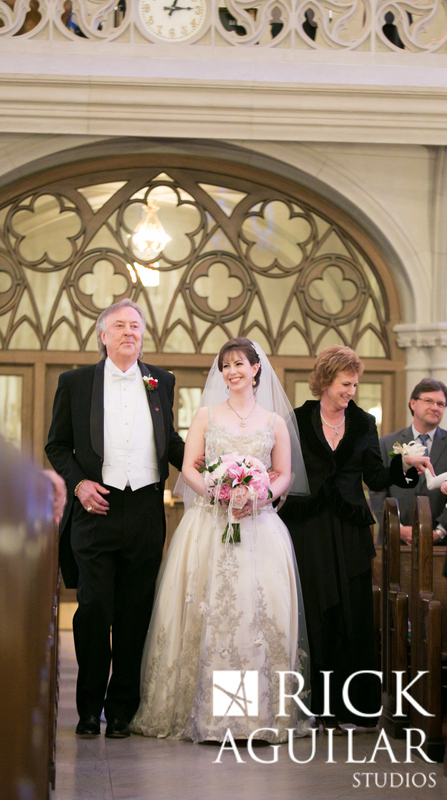 The ceremony was performed by a family friend, which meant so much to the family. 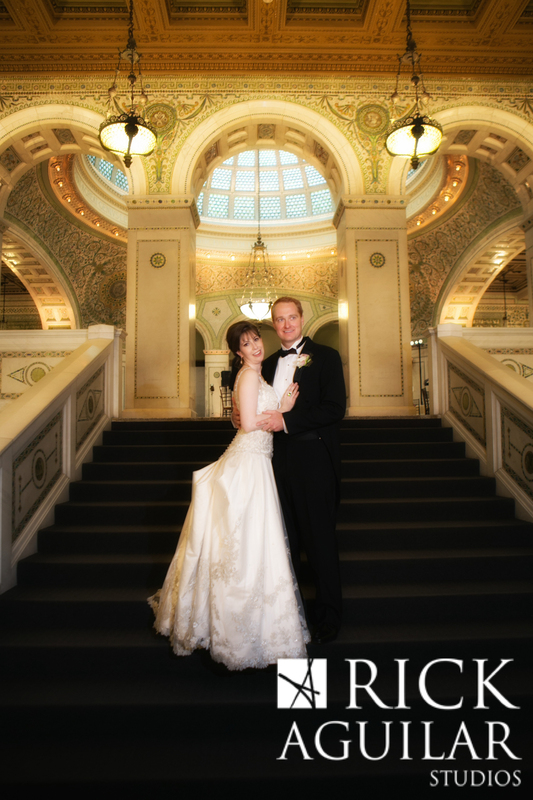 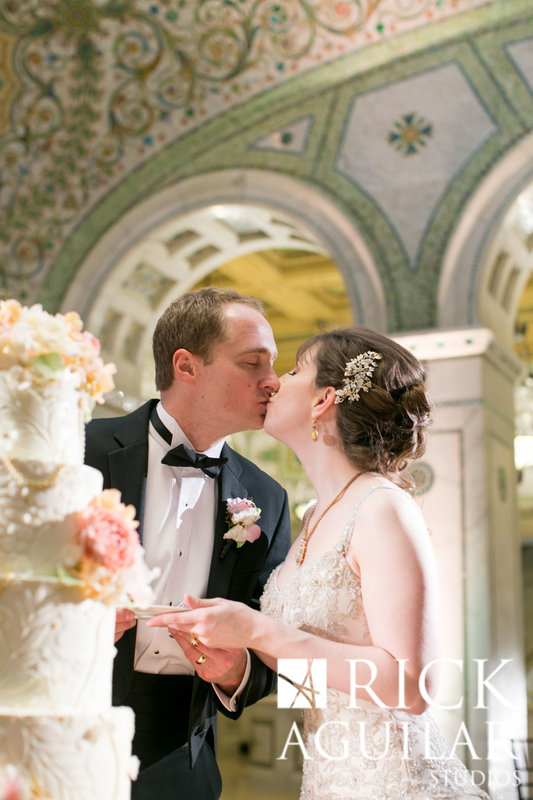 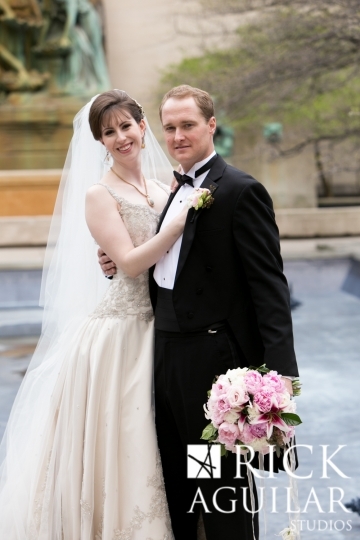 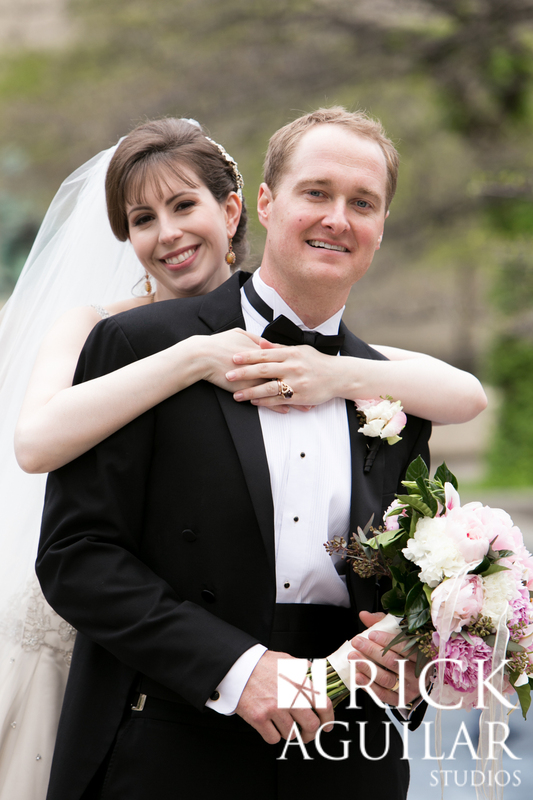 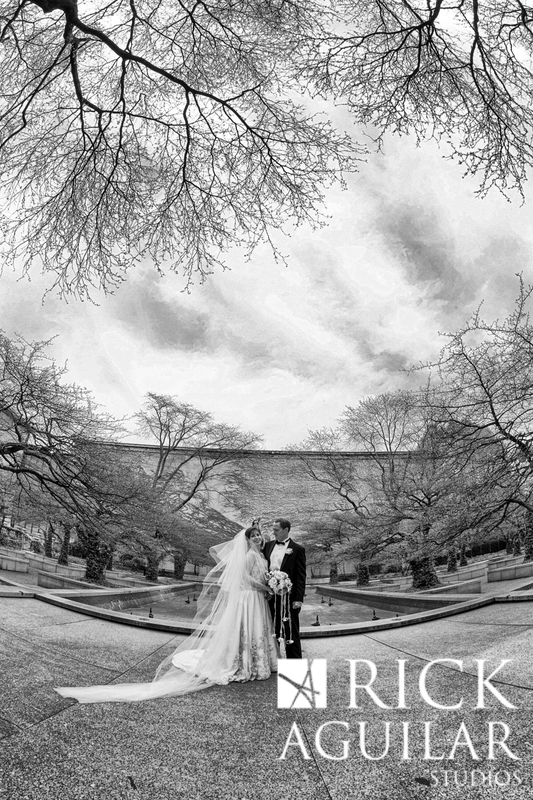 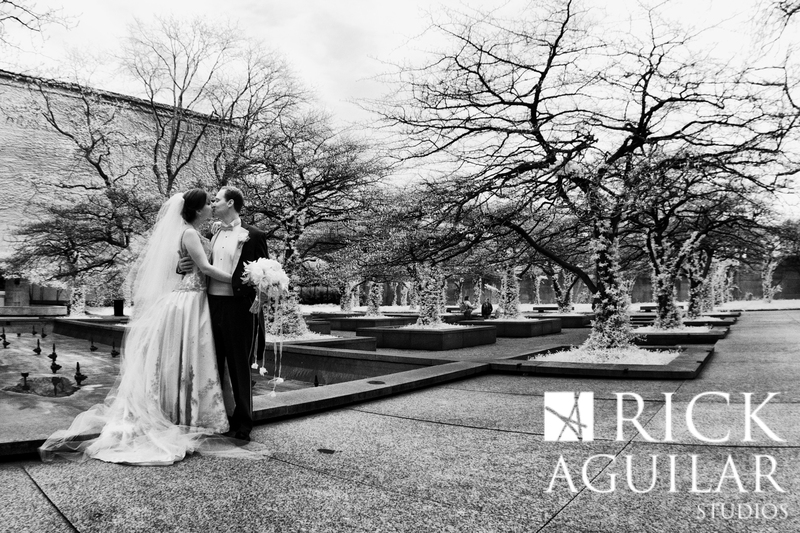 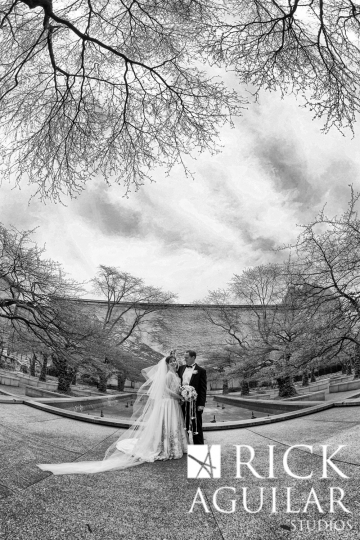 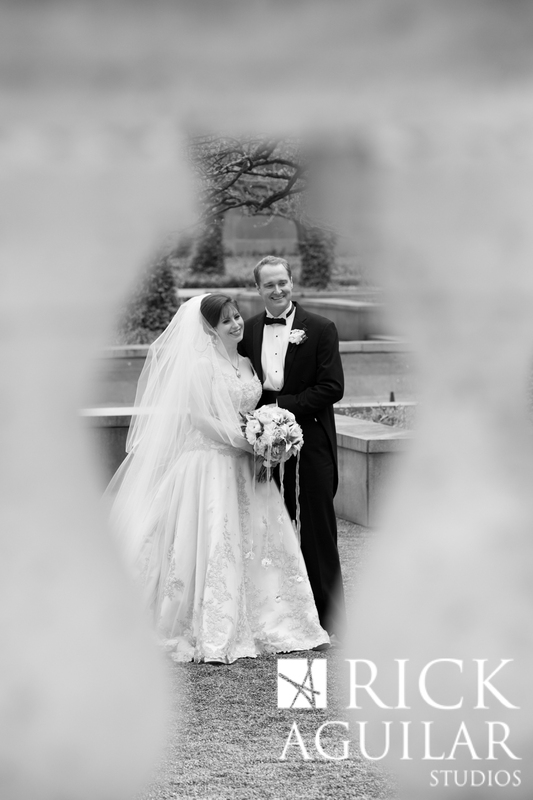 Even though it was a bit cold, we still went on location to take wedding photos at the gardens of the Art Institute. 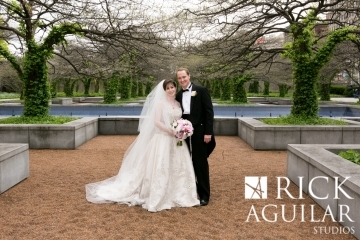 The trees just started to bloom but still made for a magical backdrop for photos. We used the museum architecture for traditional Chicago photos. 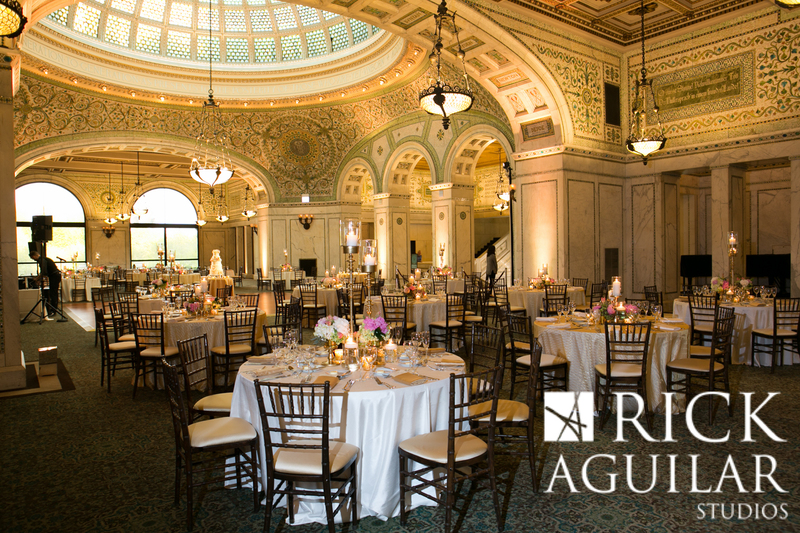 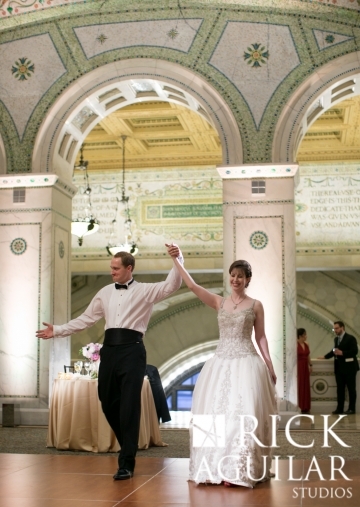 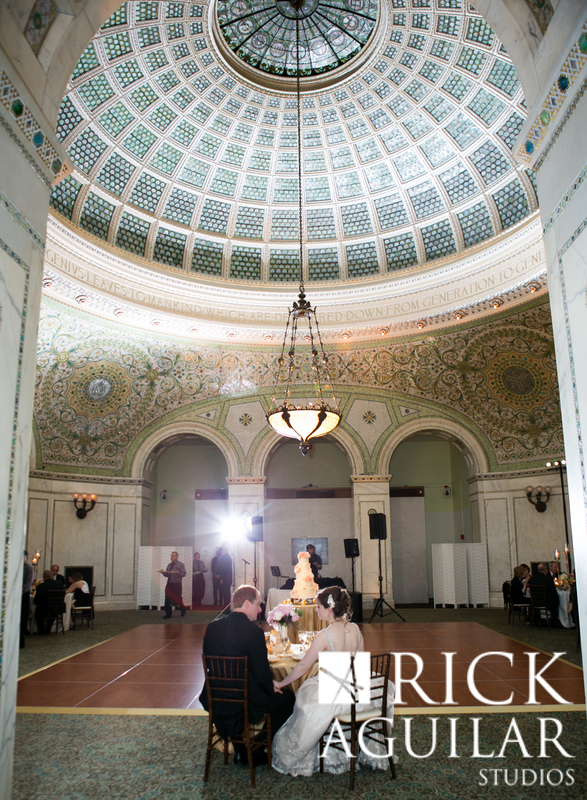 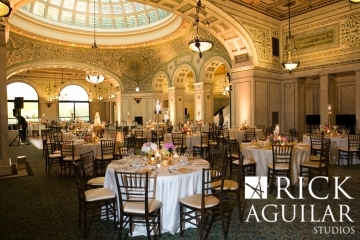 The reception was at the Preston Bradley Hall at the Chicago Cultural Center. This location is known for its dazzling mosaics and celebrated Tiffany glass dome in the center of the breathtaking room. 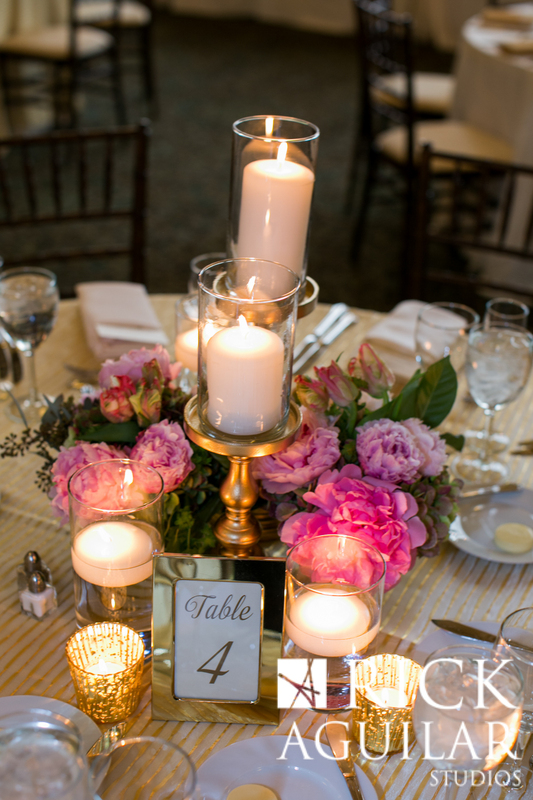 Revel Décor converted the room to a warm, intimate space for the couple, full of beautiful peonies, lilies, gold linen and candles. 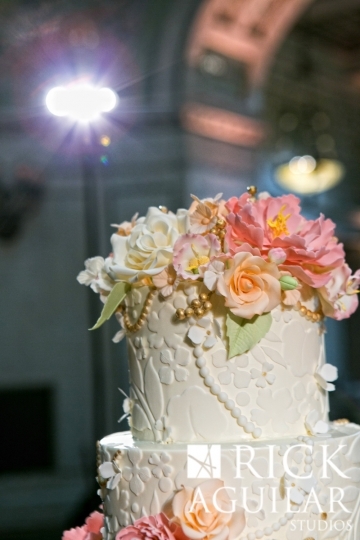 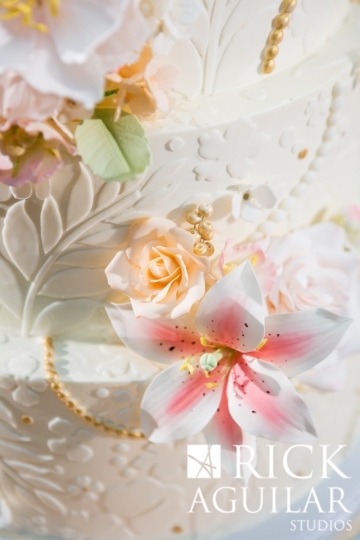 The centerpiece of the room was a delicate and astonishing cake by Sugar Fixe with incredible sugar flowers. 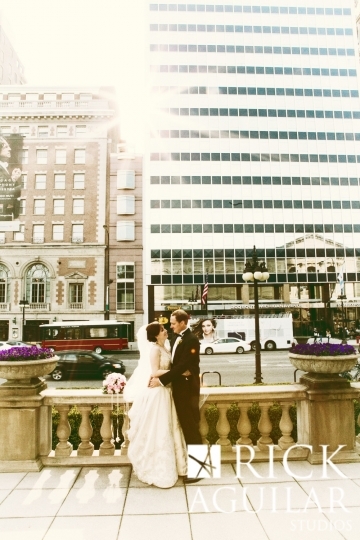 So realistic! 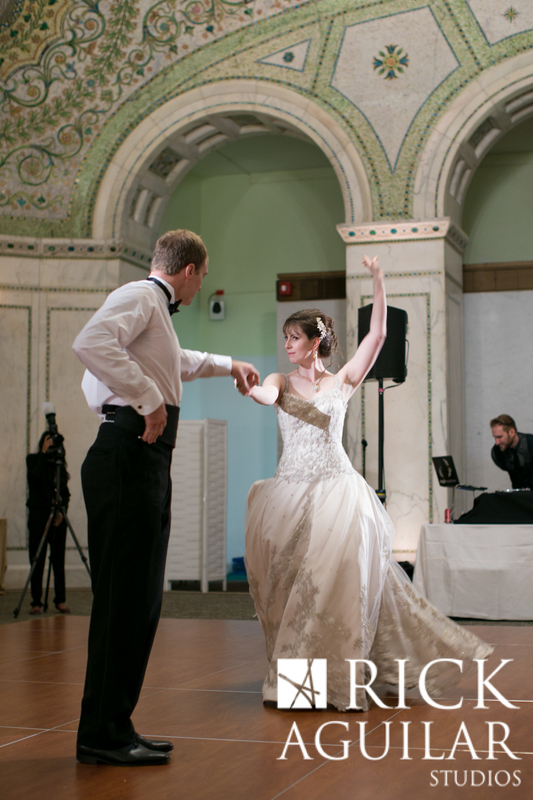 I loved watching the bride and her family dance. 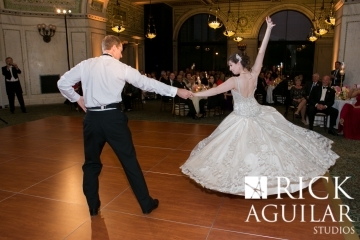 You can definitely tell they were from a family of dancers! They danced the night away with the help of Noah from Style Matters.